Heading out to LA this week for the Independent Spirit Awards where Menashe is nominated for Best First Feature. My goal is to get a selfie with Kumail Nanjiani. I just think he is swell. 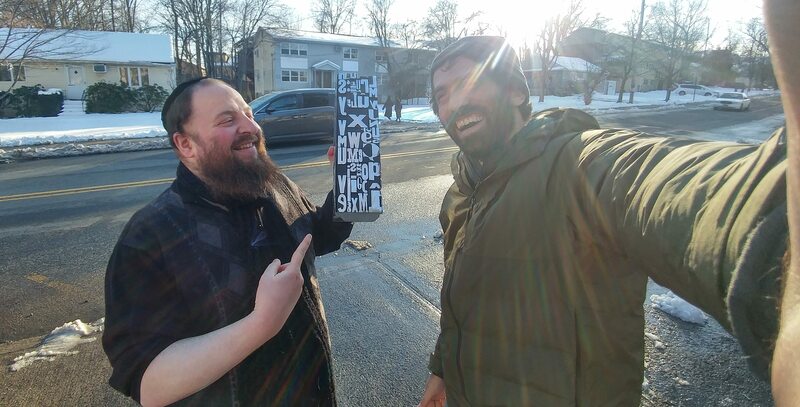 Above is a photo of Menashe holding a special jury prize from the Deauville American Film Festival. I wanted to let him display it in his apartment for a few months, but instead he just wanted to point at it.